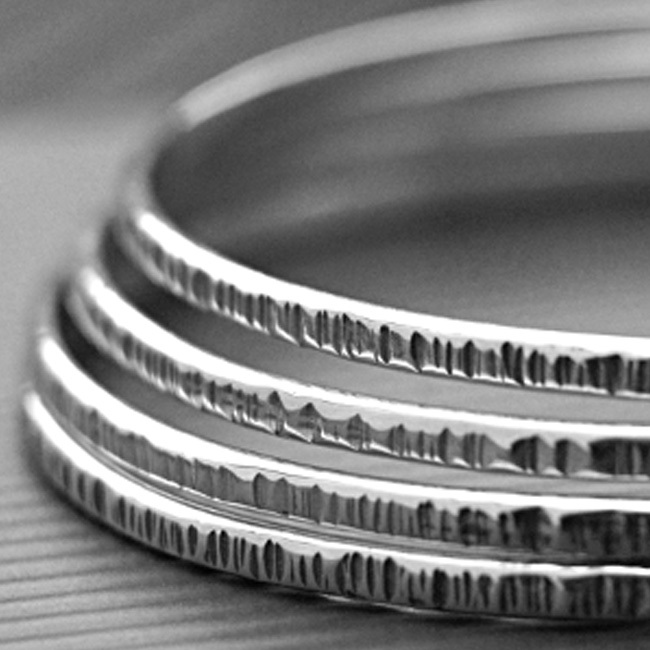 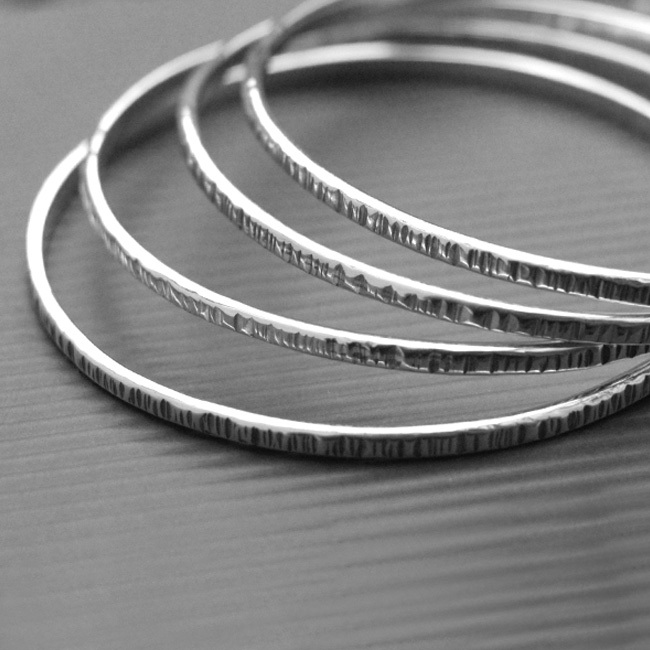 Four sterling silver solid bangles each with a hammered texture – stunning when worn together. 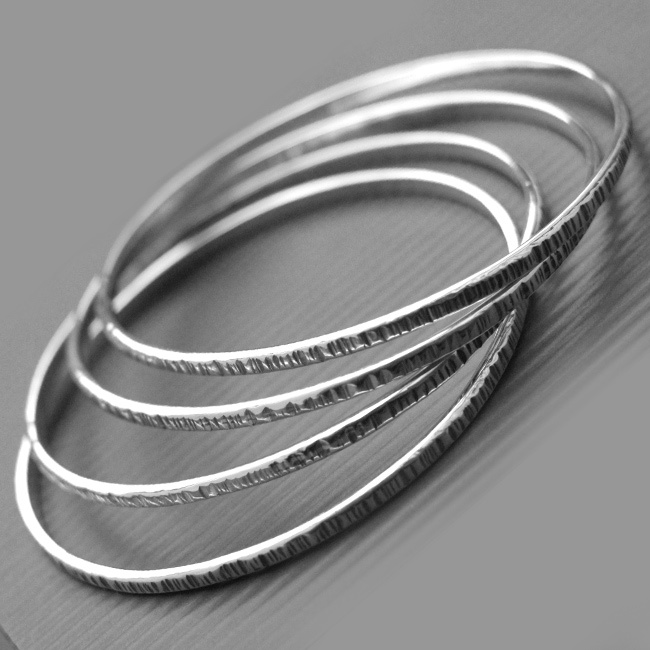 Availability: In stock Size: N/A Categories: All Jewellery, Bangles. 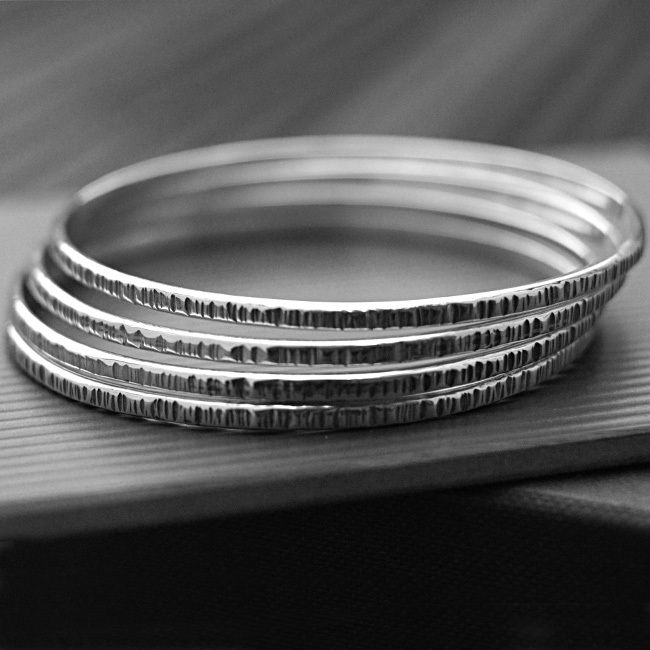 Tags: bangles, bespoke jewellery, bespoke silver, bracelets, handmade jewellery, handmade silver, jewellery designer, jewellery maker., liverpool, LWSilver, silversmith, sterling silver, uk, wirral.